Panasonic are known worldwide for high quality manufacture of electrical goods like televisions, cameras and white goods. State-of-the-art manufacturing facilities are crucial for ensuring the quality of their products – with lighting an essential part of the mix in any industrial environment. Sedna’s LED Vapour proof fitting was an optimal replacement for conventional fluorescent tube fittings in a Panasonic factory due to a number of features that make them perfect for industrial environments. An IK09 shatter-proof diffuser offers heavy duty durability, a ‘fit & forget’ 40,000 hour life and 90-300V operation and suitability for 110V site lighting and fluctuating power grids are amongst just a few of the revolutionary unit’s benefits. 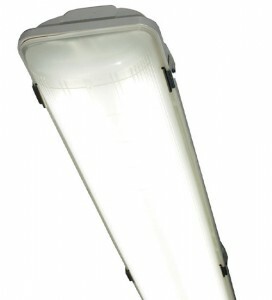 Read more on our LED Vapour Proof Fitting here. This article is not intended to infringe trademark, image credit goes to the Panasonic Corporation who own the Panasonic logo.